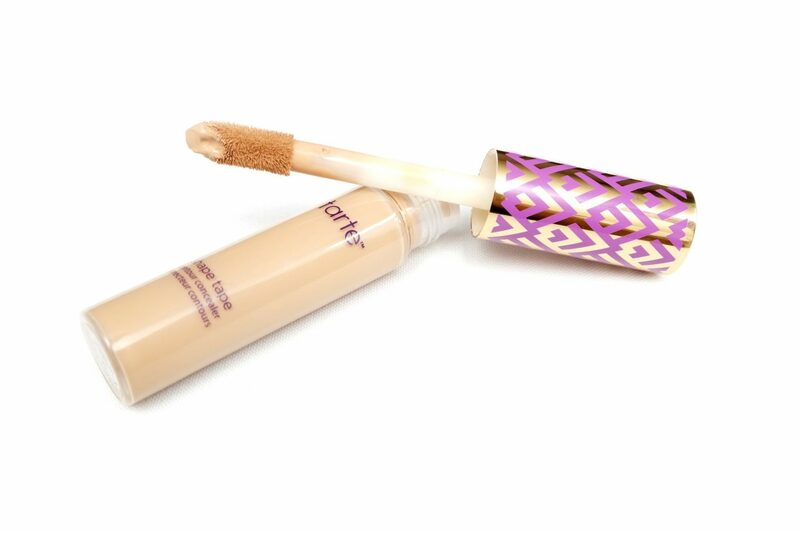 The tarte shape tape contour concealer has been the cult-favorite concealer since its release two years ago and even after a long time has passed, it is still the #1 concealer for many make-up lovers around the world. 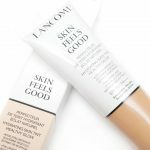 According to the brand, this product is supposed to be a 100% Vegan, full coverage concealer with a matte finish that instantly helps brighten, smooth and give the skin a more firmer and lifted look. Even though its popularity, I didn’t manage to review the concealer until now, so without further ado, I’m happy to finally review tarte shape tape contour concealer. The tarte shape tape contour concealer is currently available in twenty different shades. I’ve received four of them, which are light sand, light-medium, light-medium honey and medium. 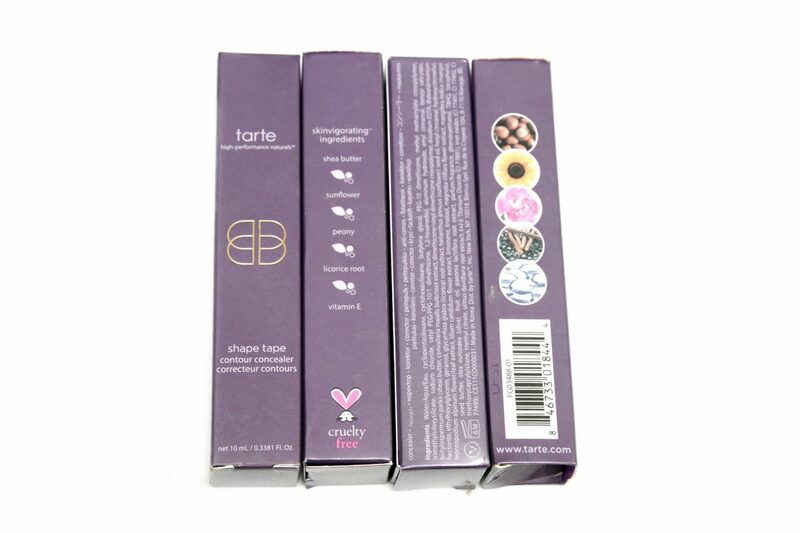 These concealers are in the permanent, shape tape line and come in typical, tarte purple cardboard box that shows all the information such as the ingredients list. The shade name of the concealer is displayed on top of the box. 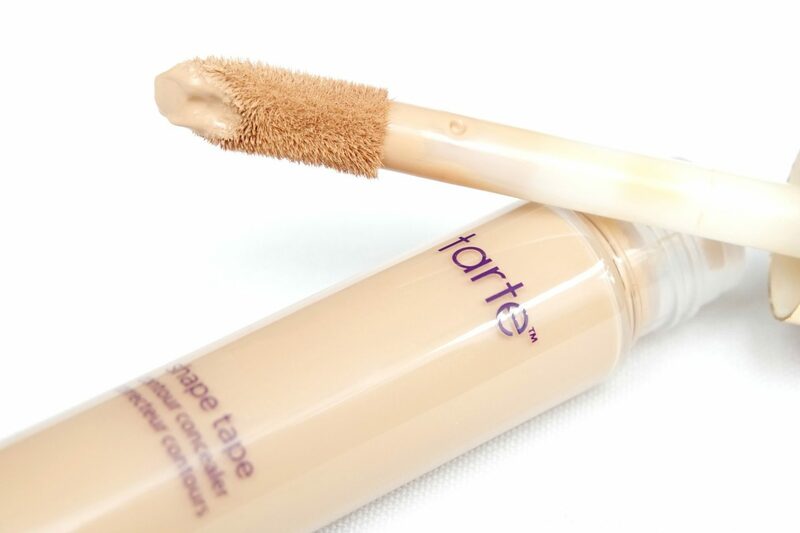 The tarte shape tape contour concealer tubes are transparent with purple details. The top of the concealer is gold with a purple pattern. 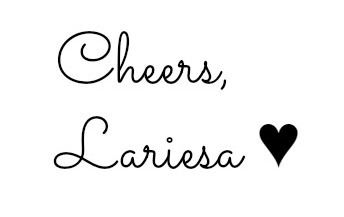 I really like how the tube looks, simple but vibrant and feels sturdy and luxurious. Each tube holds 10 mL of product. Opening the tube reveals a big doe foot applicator. It’s bigger than the average doe foot applicator you usually see with concealers (or lip glosses, which often have the same size doe foot applicator), which makes it great to cover large areas and fits perfectly underneath the eyes, but it is more difficult to reach more narrow areas using the applicator. 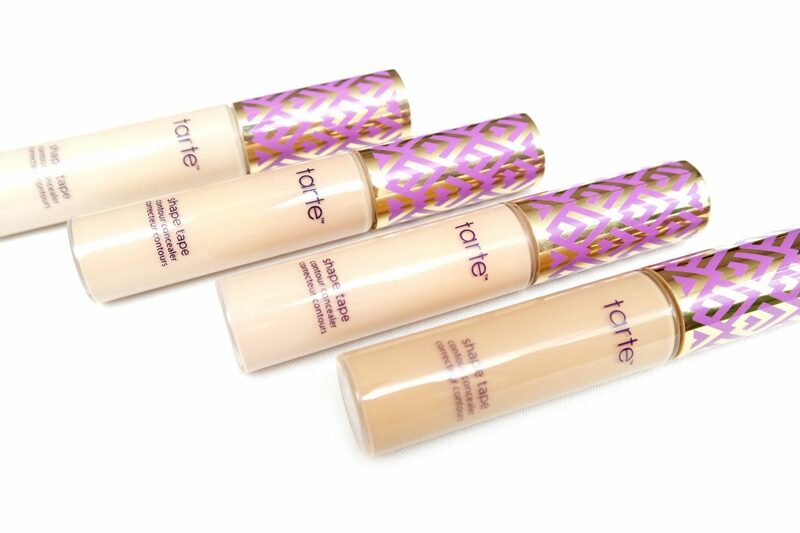 The formula of the tarte shape tape concealer is enriched with skin beneficial ingredients such as Shea Butter for skin elasticity, Mango Seed Butter to moisturize and condition and Licorice Root Extract to color correct and brighten the appearance of dark circles. The concealer has a creamy texture with a fresh, vibrant scent which spreads out evenly, leaving a thin but very opaque layer. The concealers have a completely matte finish, which you can clearly see from all the swatches. Before we continue with the before/after pictures on my face, I have to mention that I swatched the concealers on my arm after my holiday. The pictures below are from before my holidays, so I look very pale in comparison! 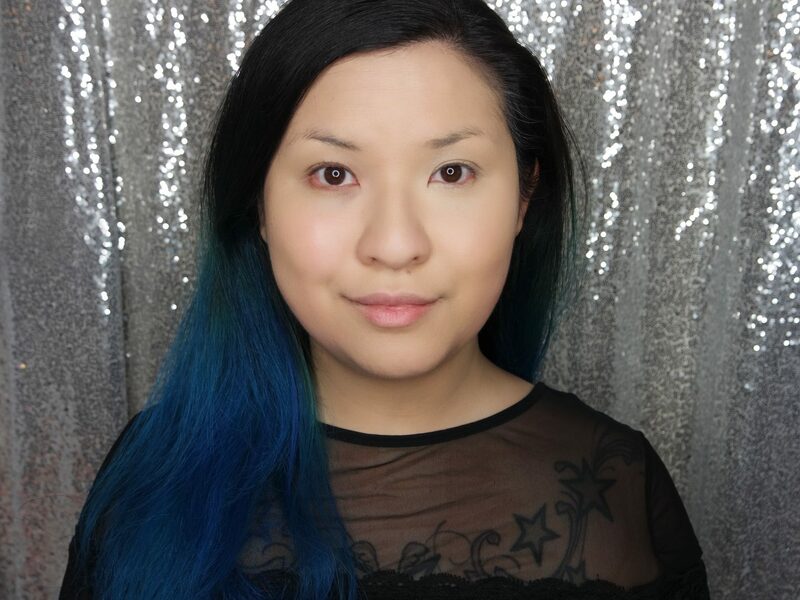 In the picture above, I’ve applied foundation without any concealer underneath my eye on the left side of the picture, and the tarte shape tape concealer in light-medium blended underneath my eye on the right side of the picture. 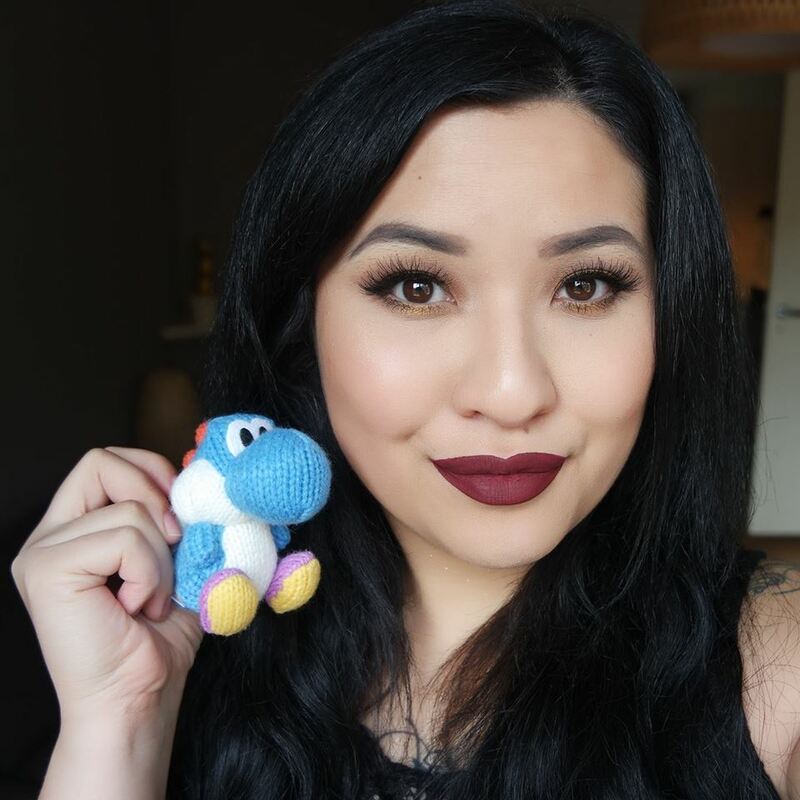 I’ve used the concealer by applying a few dots underneath my eyes and then blend with a beauty sponge, which was very easy and effortless to do. The dark circle underneath my eye is completely covered and the concealer and definitely gives brightness and an instant lift compared to the other side. 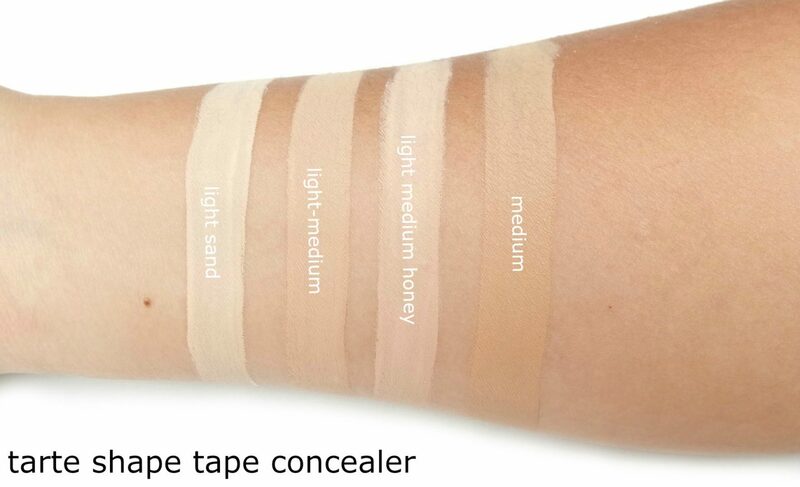 Here is how the tarte shape tape concealer in light-medium honey looks with the rest of my make-up. Even though the concealer dries down to a matte finish, I still like to set it with loose powder like I do with all my under eye concealers just to be certain it doesn’t crease. 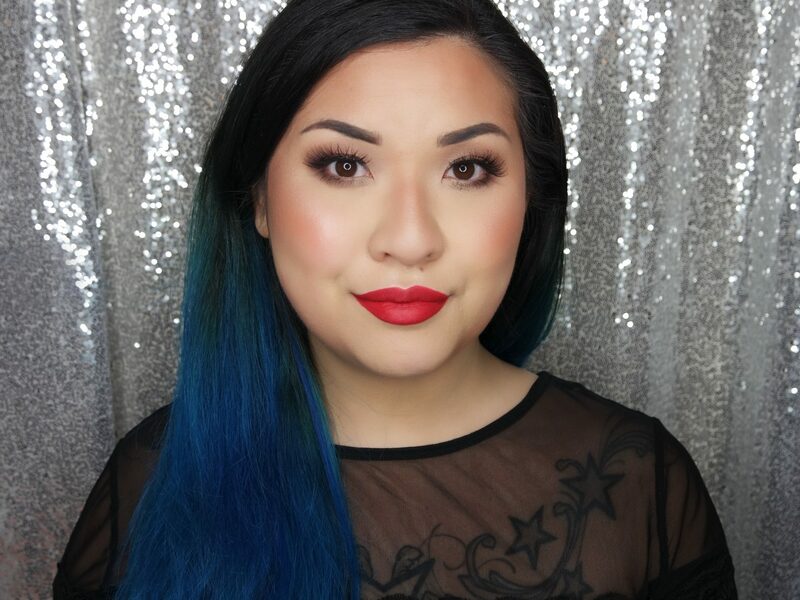 The concealer does make my under eye area look absolutely flawless in picture however in real life, it does look a little bit dry since I have a dry skin type and because it has such a matte finish. Here is the tarte shape tape concealer in light-medium honey during the initial application and after eight to nine hours of wear. As you can see, my foundation has faded in some places and I had a runny eye, but my under eye area still looks absolutely flawless. Again, it does look a bit dry in real life but I have that problem with most concealers. 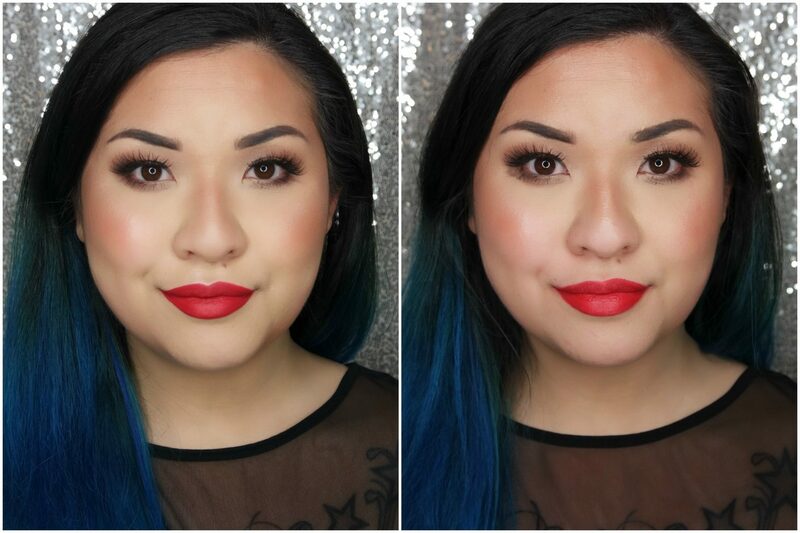 I have either two options, a little dry looking undereye area or a creased undereye area if I don’t set the concealer I’m using. 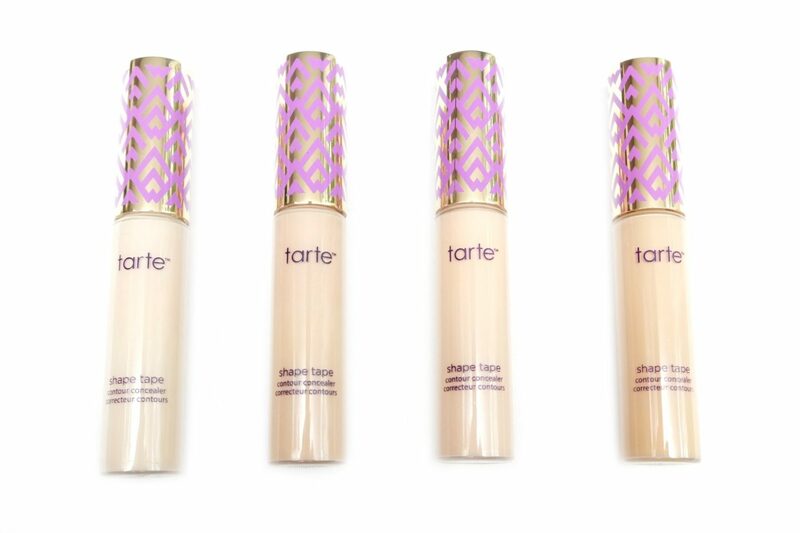 I’m definitely a big fan of the tarte shape tape concealer and I can see why people around the world like it so much. It’s super effortless to use and it has an amazing coverage that lasts beautifully throughout the day. The tarte shape tape concealer is available for €26,00 Euro at tartecosmetics.com, which ships directly to The Netherlands. Please be aware that the price mentioned is excluding shipping and customs fees/taxes. 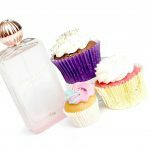 tartecosmetics.com does offer free shipping from time-to-time, so I would suggest to subscribe to their newsletter for any updates on any discounts. 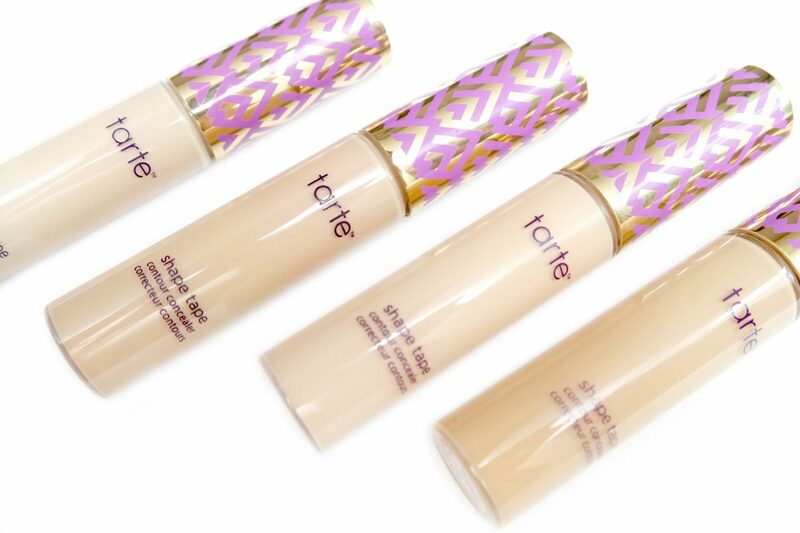 Have you tried the iconic tarte shape tape concealer yet? Ik ben ook echt groot fan van de Tarte Shape tape concealer. Dekt ontzettend goed en blijft gedurende de dag mooi zitten.